What is it? Why is it celebrated? Sitges becomes, for nearly two weeks, the capital of the Bear movement, offering activities during all these days, focusing its activity on the Bear Zone (Joan Tarrida) and on the promenade. The Bear Village will offer many and varied activities during those days of September. The aim of this event is to unite all kinds of bears following the values of the Bear philosophy: solidarity, tolerance, normality and permissibility. Values that are integrated in the so-called "BEAR" philosophy, that brings together people of any status and socio-economic level, as well as anything that implies inclusion and social normality. The International Bears Sitges Week includes theme parties, art exhibitions, shows, a formal dinner with a charity raffle, DJs and other proposals that will spice up these nearly two weeks dedicated to bears in our city. The Official Association of Bears, Chubbies, Pelikans, Mature men and friends in Sitges area explains on its website he origin of the social phenomenon Bears. This movement appeared in the late 80s among a section of the gay community in San Francisco, California. In Sitges, the first Bears meetings were accompanied by dinners in restaurants of the city and coincided with celebrations like the Chestnut, the Diada de Catalunya, the BEARnaval or BEAReyes. All of them so successful that attracted many Bears from Barcelona, Tarragona and other neighbouring regions. The Association also explains the purpose of this movement: "The Bear movement arises with the good intention of facilitating the meeting between people who feel 100% comfortable with their robust and hairy face and their style of dress relaxed and casual. In fact, this phenomenon facilitated and continues to facilitate the meeting between Bears and those who see a special attraction on the beard, hairy body, maturity, corpulence or belly, without involving any rejection to anyone." Different types of bears are known with different types of this mammal, depending on the denomination or how the person is physically. Thus we can find the polar bears, wolves, otters, papa bear or muscle bear, among others. 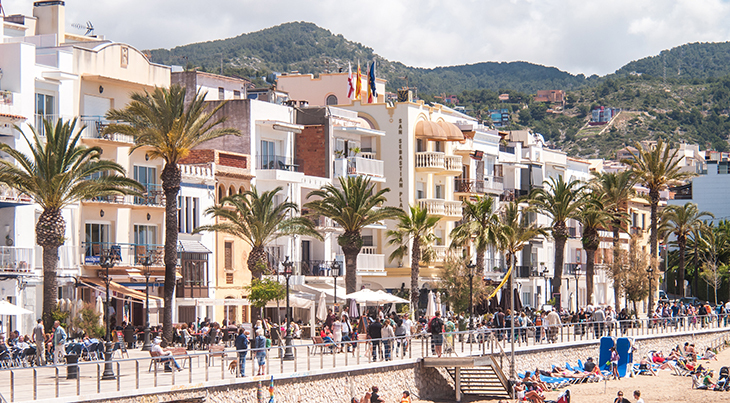 This festival is held twice every year in Sitges. It already took place between April 26 and May 1, 2018 the Sitges Bears Week, a slightly smaller than the September big party edition. The party focused on Joan Tarrida street, but due to the volume of visitors it extended to the promenade and surrounding areas. If you don't want to miss this great Bear party, with music, fun and lots of color, we recommend that you book your accommodation with Sitges Group. This way you can enjoy the celebration to the fullest and relax in any of our fantastic apartments in Sitges.